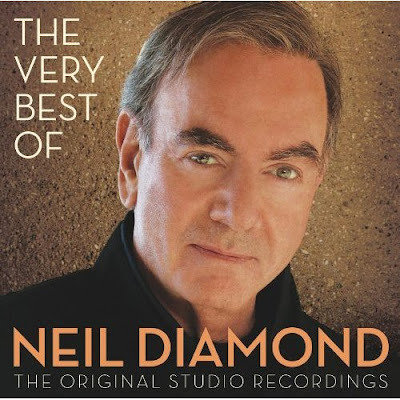 2011 Rock and Roll Hall Of Fame inductee Neil Diamond kicks off a tour in February in support a new compilation of original studio recordings titled The Very Best Of Neil Diamond. While the singer-songwriter is no stranger to the greatest hits treatment, this batch stretches across every record company he’s worked for, starting with his early days at Bang. There aren’t any rarities or surprises among the 23 tracks, but The Very Best Of Neil Diamond does provide an opportunity to consider his impact on rock music. One of the reasons Diamond’s earlier work has been covered by everyone from Deep Purple to UB40 could be his ability to set authentic emotions to melodic arrangements. “Kentucky Woman” and “Red Red Wine” are included here, as are Diamond’s original takes on “Girl, You’ll Be A Woman Soon,” which would later be put to such good use by Urge Overkill in Pulp Fiction, and “I’m A Believer,” which would become one of The Monkees’ better songs. He even sounded convincing on “Solitary Man” and “Shiloh,” both of which could have come across as sappy in another composer’s hands.